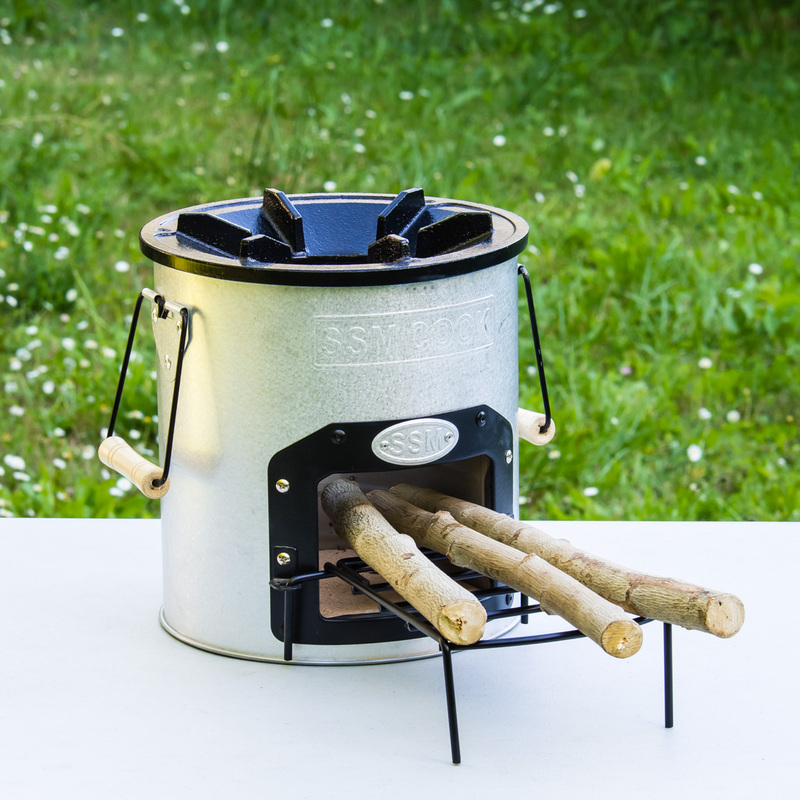 The StoveTec FireFly is a revolutionary pellet fueled lantern & compact cookstove hybrid. It allows you to cook and illuminate your work/dining area at the same time with a unique column-of-flame design. 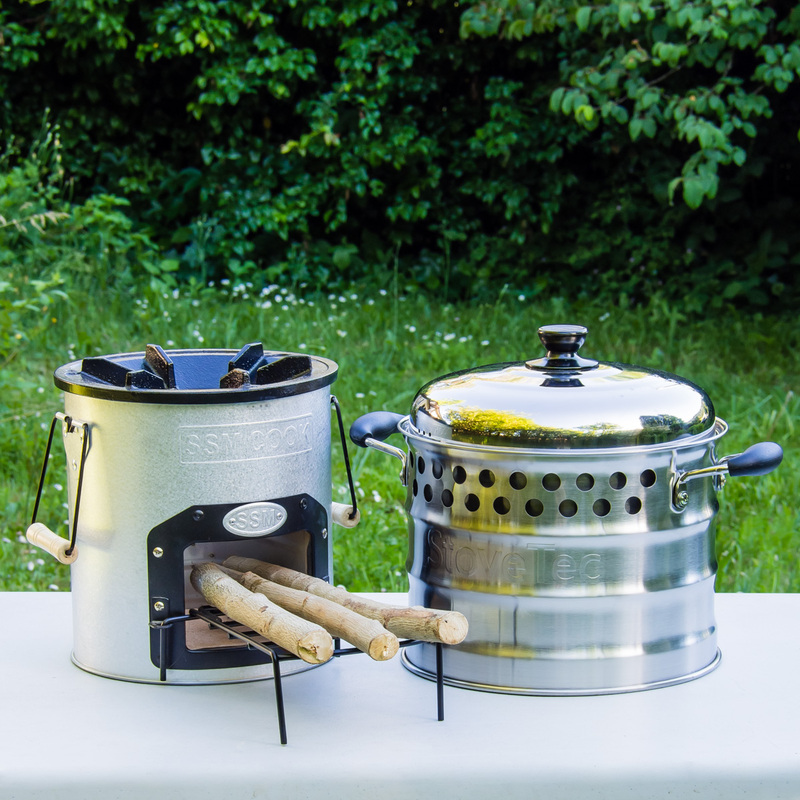 Fire up the lantern and put a pot of water on to boil while you chop veggies by its warm glow. Put a tea kettle on and read for a few minutes until the water is ready for your favorite hot drink. Crisp up some bacon and fry your morning eggs on this novel campfire-on-a-table. Then pack it away until your next adventure! 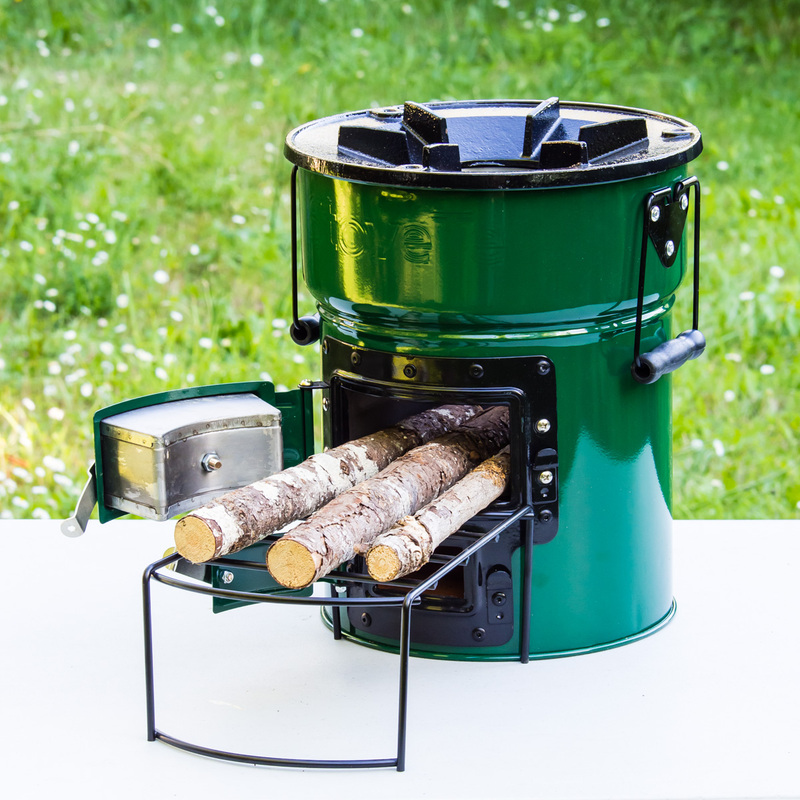 The FireFly is extremely efficient and clean-burning, fueled by standard wood pellets. 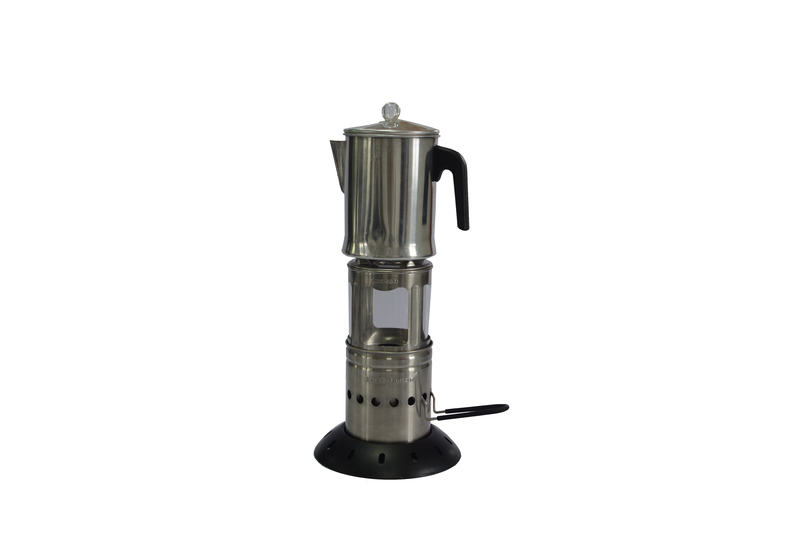 It will burn for 45 minutes on just 3 cups of fuel. At only 4 lbs. 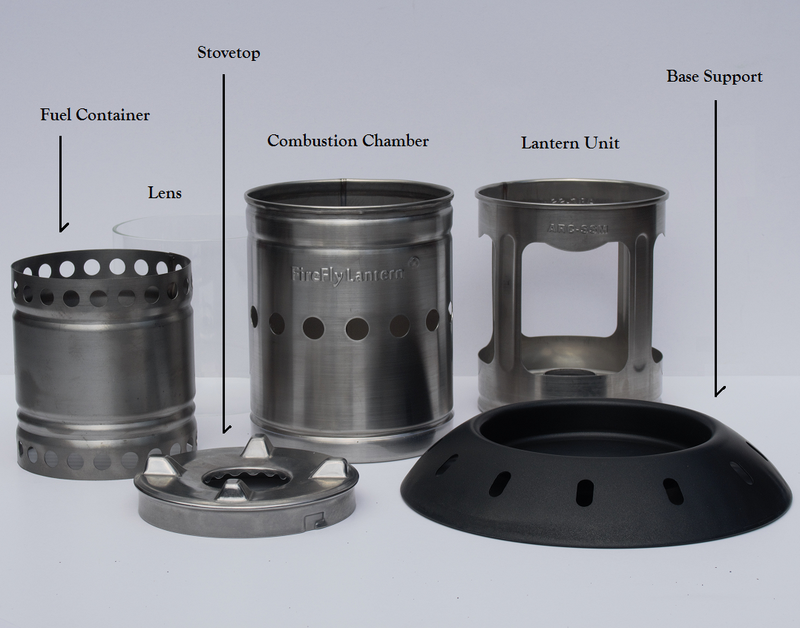 in weight, the lantern is easily disassembled and the parts cleverly nest together into the outer combustion chamber to a compact 6 1/4″ tall by 4 3/4″ in diameter. The lantern comes with a waterproof nylon drawstring storage bag. 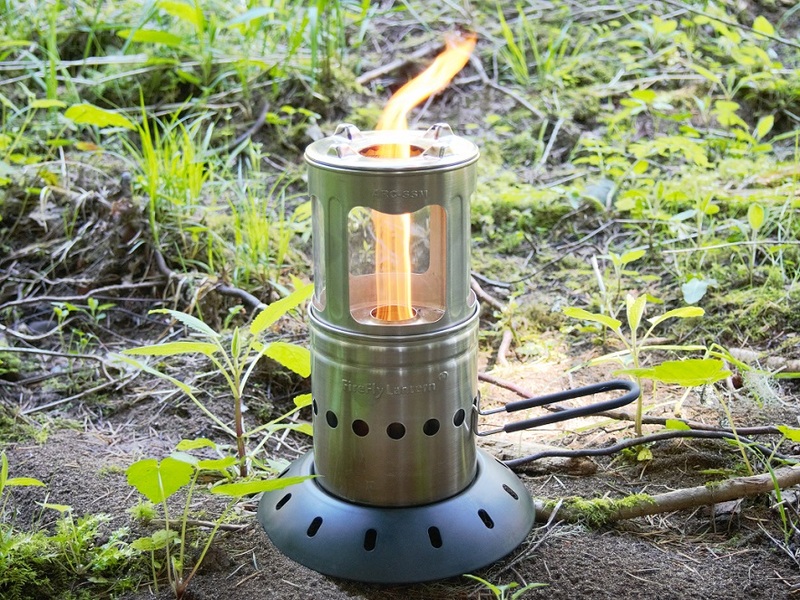 Watch an instructional video to learn proper setup and use of the FireFly Biomass Lantern. 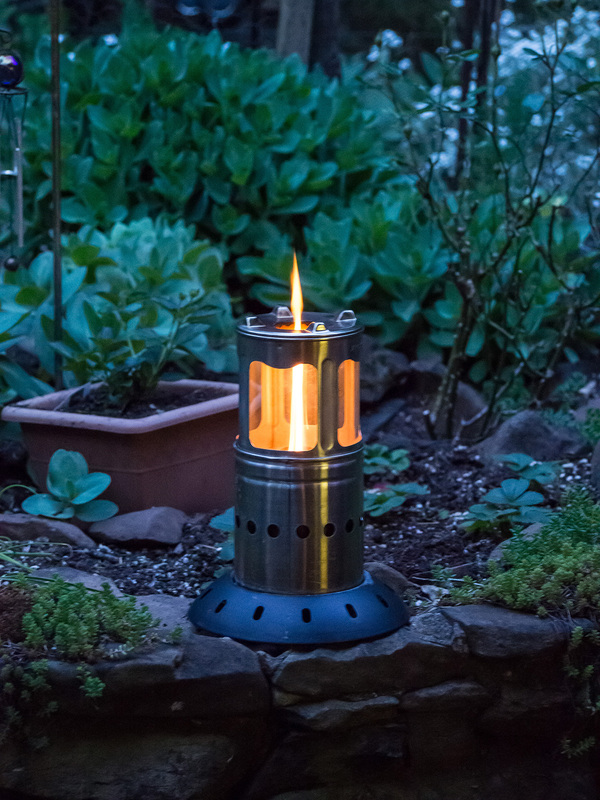 See the FireFly Biomass Lantern in action as we read by the FireFly! $15 flat rate shipping for single unit purchases from the lower 48 United States. $60 flat rate shipping for single unit purchases to Alaska or Hawaii. Contact StoveTec directly for shipping quotes outside the United States. StoveTec reserves the right to ship products at the lowest possible rate. © 2019 StoveTec All Rights Reserved.